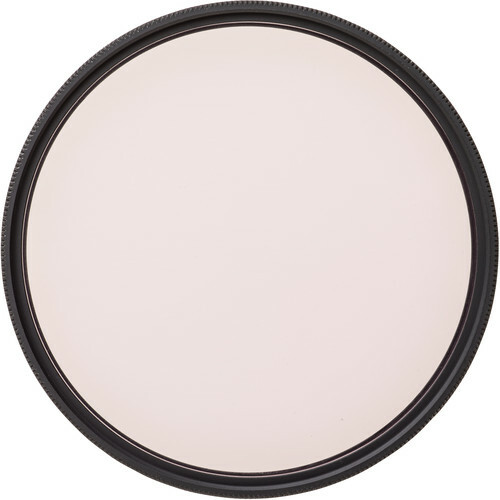 The 67mm Heliopan FLD Fluorescent Filter for Daylight Film is a color correction filter that is designed to reduce green casts when shooting with daylight film under fluorescent lighting. It is constructed from Schott glass for optical clarity and a brass filter ring is featured for durability and jamming prevention. This filter's 2x filter factor results in a 1 stop exposure reduction, and a plastic case is included for storage and transport. Reduces green casts when photographing with daylight film under fluorescent lighting. 2x filter factor reduces exposure by one stop. 67mm front filter threads allow use with other filters. Color Temperature Balances fluorescent lighting for 5500K daylight film. Effect Reduces green casts when shooting with daylight film under fluorescent lighting. Box Dimensions (LxWxH) 4.0 x 4.0 x 0.5"